Bosch—the new series based on Michael Connelly’s novels that begins streaming on Amazon Prime on February 13—hits the ground running, literally, as a street chase across downtown Los Angeles ends with a shooting. This chase, in which L.A. police detective Harry Bosch follows a man he suspects of killing prostitutes, kicks off the TV series. 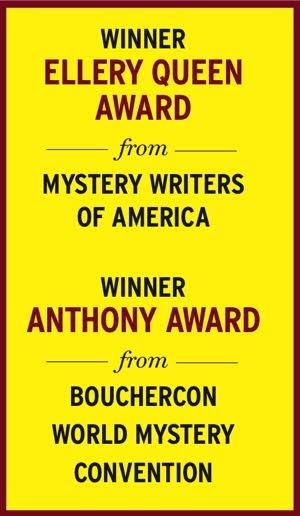 But Bosch—much like Connelly’s 19 novels about this cop—is a police procedural that doubles as a perceptive character study about a man with a mission to uncover the truth about crime, no matter the odds, as well as a showcase for Los Angeles. Bosch certainly will have its share of chases and guns—as needed—but the four episodes I viewed in advance of the February 13 launch concentrate more on the essence of the character and on the City of Angels. It starts with Harry—expertly performed by Titus Welliver—following the suspect through the streets, past Angel’s Flight, down into the subway and through Mariachi Plaza, all of which Connelly has written about in his novels. And while Bosch doesn’t break new ground in the already overcrowded field of television crime drama, it operates on a higher plane than most series. The well-constructed episodes, which draw from several Connelly novels, are tightly focused, but it is Harry—his angst, his rage, his compassion—that keeps Bosch spinning. And when the detective walks out on his balcony, surveying the city that he protects, a vital scene in each novel, viewers will know that they are home with Harry. Yes, there are some differences between the Harry of the novels and the Harry on the screen. But these changes make sense and keep the contemporary feel of the series. In the novels, Harry is a Vietnam vet, and ages. That works for the novels, but a TV series needs an immediate feel. So now Harry is about 47 years old, a cop for about 20 years. He fought in the first Gulf War during 1991 where he was Special Forces, part of the team that cleared the tunnels. (Long-time readers will remember that Harry often was down in the tunnels in Connelly’s Edgar-winning debut, The Black Echo.) In the TV series, Harry re-upped with the Army following 9/11, serving in Afghanistan, and back to the tunnels, and then back to the police force. In the TV series, Harry also has a daughter who lives in Las Vegas with her mother. The initial episodes—and I think this will continue through the first season—draw from Connelly’s novels City of Bones and The Concrete Blonde. Several plotlines run through the episodes, making Bosch realistic since detectives often juggle several investigations at one time. The beginning chase in which Harry shoots the suspect is a flashback. Two years later, Harry is being sued in a civil case for wrongful death by the suspect’s wife, despite being cleared by the department. The plaintiff’s lawyer, Honey “Money” Chandler (Mimi Rogers), claims that Harry planted a gun on the suspect. Although he is not supposed to be on active duty, Harry can’t just sit around, so he maneuvers to take the weekend shift of two other detectives. He’s called to investigate the human bones found by a retired doctor’s dog in the woods. The bones turn out to be those of a 12-year-old boy who was horribly abused, murdered during the late 1980s, and buried in the woods. The investigation leads Harry to a serial killer who has remained off the grid for a long time. Longtime readers will recognize the different plot threads and certain twists from the novels. But it’s been several years since these novels were published and it’s easy to forget what exactly happened and to whom, and reading the novels won’t spoil the viewing. Bosch has assembled a good cast. Rogers is steely as the never-lose attorney and Jason Gedrick is frightening as a killer. Look for a bearded Scott Wilson (Walking Dead, In Cold Blood) as the doctor whose golden retriever finds the bone. 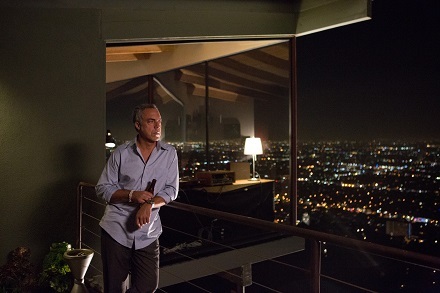 But it is Titus Welliver’s performance that elevates Bosch. Although for some reason, I always pictured Harry with dark hair, any preconceived idea of what Harry should look like soon vanishes because Welliver quickly owns the role. Welliver has long been one of the best character actors around, whether he is in Deadwood, The Good Wife, Sons of Anarchy, or the Comcast commercials. Welliver’s range of emotions does justice to Harry Bosch, showing all the colors of this detective. 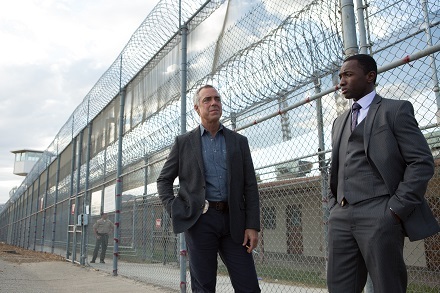 Welliver’s chemistry with Jamie Hector as his partner Jerry Edgar works well. Hector (Marlo of The Wire) and Welliver are believable as detectives and their realistic banter brings a levity to Bosch. Hector proved his range in The Wire, and he continues to show his acting chops in Bosch. 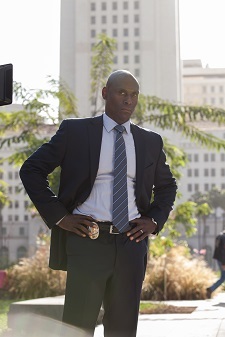 Lance Reddick, also from The Wire, is the epitome of a man of power as Irvin Irving. 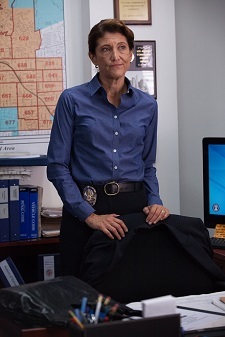 Amy Aquino, long a personal favorite, nails Lt. Grace Billets. As in the novels, Los Angeles is as vital a character as any actor. Bosch shows us the city that Connelly writes about, from the opening aerial scenes to the dry Los Angeles River to the nooks and alleyways. For many viewers, Amazon Prime is still a new way to watch television. But the quality of alternatives to network television has been attracting viewers—and awards. Being on Amazon Prime didn’t stop Transparent from picking up two Golden Globes and a slew of nominations in January. And Amazon Prime won’t stop Connelly’s fans from seeking out this superior crime drama. All 10 episodes of Bosch will begin streaming on February 13, 2015, on Amazon Prime Instant Video in the USA and the UK. For details on viewings, visit michaelconnelly.com.